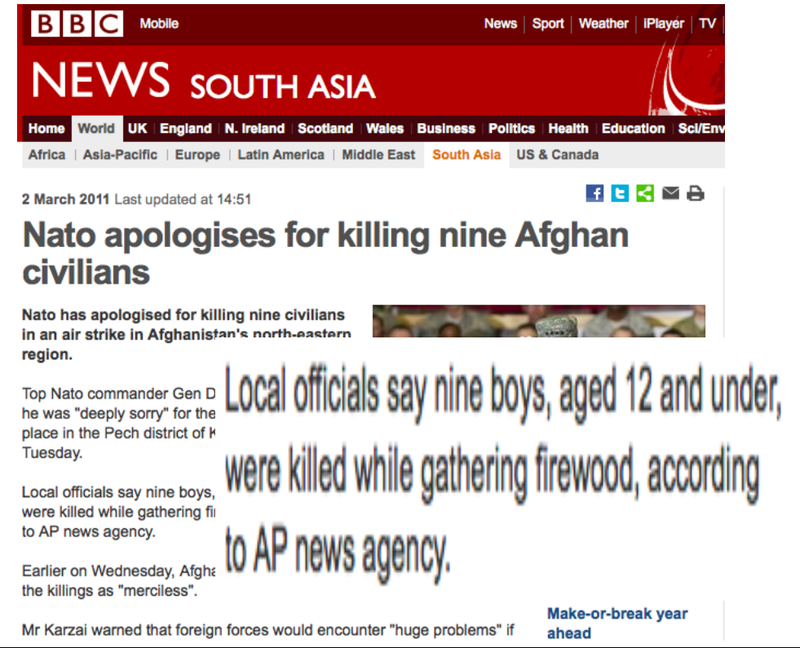 In a report on the killing of 9 children by NATO forces in Afghanistan the BBC chooses not to provide details of the attack, highlights NATO’s apology for the deaths, seeks to deflect attention by highlighting killings carried out by the Taliban and refers to the children simply as ‘civilians’. 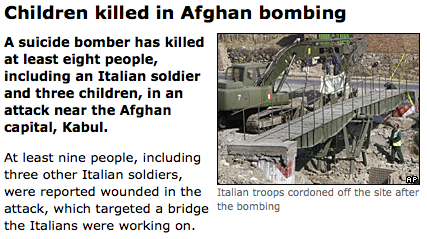 But even here, the deaths are claims assigned to unnamed officials, relayed by a news agency. 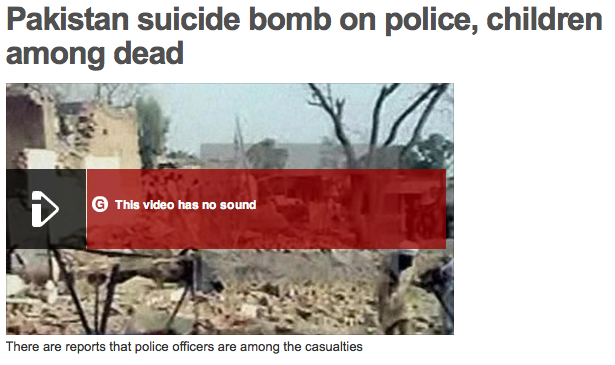 There are no links to other reports offering further information on the attack. Few details of the circumstances, no names of those killed and no response from members of their community. It is the apology, not the deaths, that is the story. It’s almost as if Petraeus is using the opportunity to apologise in advance for future killings in order to dispense with the rigmarole of formal apologies and the (very limited) bad press that comes with that. And again in this follow-up report ‘children’ are ‘civilians’. Thanks to @colettebrowne for spotting this.